ICONIC PRO Kit, with everything you need to Blush, Bronze and Brighten in a Mirrored Compact. Baked Formula for Blusher, Bronzer and Illuminating Powders. Available in 4 amazing shade variations: Flush, Rave, Smoulder and Golden Hot. Explore the entire range of Contour available on Nykaa. 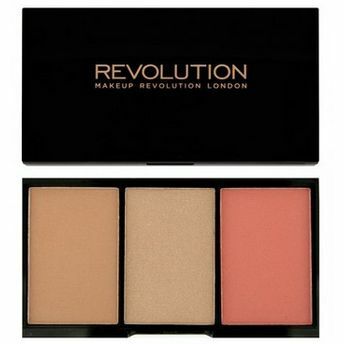 Shop more Makeup Revolution products here.You can browse through the complete world of Makeup Revolution Contour .Alternatively, you can also find many more products from the Makeup Revolution Iconic Pro Blush, Bronze and Brighten range.